The Department of General Pediatrics and Neonatology at the University Hospital Saarland offers treatment of all diseases in newborn babies, children and adolescents. Along with the treatment of general pediatric diseases, the department specializes in endocrinology, diabetology, neuropediatrics (here functions the certified Tuberous Sclerosis Center), pulmonology (here functions the Cystic Fibrosis Center), as well as cardiology within the framework of the Heart Center. The department also has the status of the Level I Perinatal Center. The Chief Physician of the department is Prof. Dr. med. Michael Zemlin. A particular specialization of the department is the treatment of Down syndrome, as well as pediatric gynecology, child protection, etc. Thanks to the comprehensive and interdisciplinary treatment approaches, as well as highly qualified doctors and excellent technical equipment, the department can provide a special treatment of all diseases in childhood and adolescence. Neuropediatric diseases are treated in the independent Department of Neuropediatrics. Study of Medicine at the Free University of Berlin. Thesis defence on a new molecular genetic method for the early diagnosis of T-cell lymphomas by confirming the rearrangements of the T-cell receptor genes. A two-year internship at the Institute of Clinical Immunology and Development Immunology at the University of Alabama in Birmingham, USA (Humboldt Foundation Scholarship). 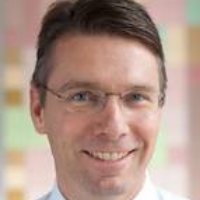 Senior Physician at the University Children’s Hospital of the University of Marburg. Thesis defense on the development of the immune system in premature and full-term children and the molecular causes of allergies. 2013 Visiting Professor in Pediatric and Adolescent Medicine. Since 2016, Professorship at the University of Saarland and Head of the Department of General Pediatrics and Neonatology at the University Hospital Saarland in Homburg. Department of General Pediatrics and Neonatology.